A craft is the instrument in which the authenticity of your being is communicated. Your craft is like a portal to your inner world, and as an artist, it’s your duty to pull it out of the vortex. Craft is a catalyst for our identity and the soil for cultivating meaning. It behooves us to realize that who we are and become—our values, beliefs, thoughts, observations—influence what comes out of the violin, sketch, or photograph, not the other way around. 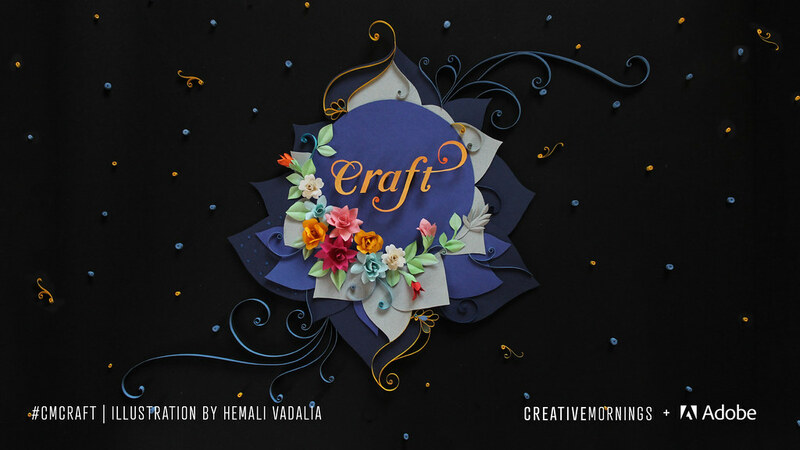 This month’s global exploration of Craft was chosen by our Mumbai chapter, illustrated by Hemali Vadalia, and presented by Adobe. Discover more of Hemali’s work on her website, Instagram, Behance, and Facebook.